We have entered a new era in science and religion dialogue where resources are increasingly available in a wide number of languages, targeted to different levels of understanding, and appearing in a variety of media formats. 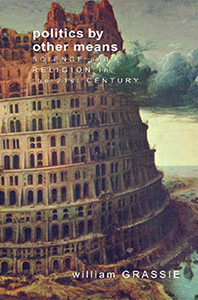 Two significant recent publishing events are the multivolume Encyclopedia of Science and Religion from Macmillan (www.galegroup.com) and the web-based English language version of the original Italian version of the Interdisciplinary Encyclopedia of Religion and Science (www.disf.org/en/). The literature in the general area of science and religion is likely well beyond 150,000 entries worldwide (exclusive of translations) although the “master bibliography” with continuous updating is yet to be created. Virtually all major disciplines have self interest groups, standing committees, and/or loosely coupled groups of scholars working on a link between that discipline and religion/spirituality. Several disciplines have journals that focus exclusively or in large part upon this interaction and in the increasingly specialized world of academic publishing, including the over 1,000 peer-reviewed journals that are only online journals, this is surely going to increase and ultimately gain full academic respectability. Many religious groups and denominations have standing committees, task forces, or links to professional associations that provide assistance with science and religion issues. Yet there remains significant work to do in tapping the huge reservoir of practicing scientists, engineers, and technical folk who sit in the pews of the average house of worship in most nations for onsite expertise. Few organized religious bodies have mapped the extent of this knowledge network that resides “within” their organization. This is despite the fact that surveys in the Presbyterian Church USA for example, documented that 1 out of every 5 members and 1 out of every 4 elders within their churches had a background in science, mathematics, or engineering (2). There is frequent lament about the ignorance of clergy in regards to modern science and technology. It should be noted that such “illiteracy” runs in the opposite direction as well as most scientists and engineers seem to know precious little about religion beyond their own personal involvement and even less about theology as a formal discipline of study. But we must note that illiteracy about Science and Religion is part of a much larger general issue of alleged illiteracy that pervades American society, and those of other nations. Over the past decade in the United States, for example, there have been many studies and reports from blue ribbon commissions lamenting a huge illiteracy problem in each of the following areas: 1) civics, 2) economics, 3) mathematics, 4) science, 5) visual arts and media, 6) history, 7) foreign languages, 8) reading and writing, 9) geography and culture, 10) computers, and 11) technology (engineering and allied disciplines). Similar reports exist in many other OECD nations and Non-OECD countries. Religion then is simply one more arena to add to this long list. One has to pause at these documented gross inadequacies of knowledge among members of the general public in societies all over the world and wonder whether academics and policy makers are actually to be believed. Must everyone in fact know all the things that experts think they should know in order to be well-informed citizens within modern societies? Perhaps the various “national” standards documents for public education in the United States, to take but one example, are monuments to the unreasonable expectations of persons who make their living in these arenas about what nonexperts should know and be able to do? An implication for the Science and Religion community is to think far more carefully about what our goals are in terms of S & R literacy and what specific approaches are most helpful in achieving these more limited but realistic objectives. It also must be recognized that any failings of clergy and other religious leaders in their knowledge of science and technology is not necessarily a failure of their formal theological education but of their undergraduate collegiate preparation (in countries where this is the normal track to clergy credentialing). Clergy illiteracy concerning science and technology is, therefore, part of the larger issue of science literacy at the undergraduate level among college students in the United States, Canada, and other societies whose educational systems are organized along similar lines. Most religious leaders receive some or all of their education in religiously affiliated institutions. This speaks to the need for the S & R community to work more closely and directly with these institutions and the faculty within them if substantial improvements in the current climate are to be realized. 1) The Education Act of 1996 in England prescribed a national curriculum (www.nc.uk.net). Religious education is mandated and Key Stage 3 in the national curriculum has several strands that focus on aspects of science and religion. The John Templeton Foundation supported the development of some specific teaching modules keyed to the English national curriculum a few years ago. 2) The Scottish curriculum guidelines (there is no prescribed national curriculum in Scotland like there is in England) also focus on outcomes related to science and religion, especially in Level F which links to other areas of the curriculum (www.ltscotland.org.uk/5to14/guidelines/index.asp). 3) There is now wide agreement from educational, religious, and policy making organizations in the United States about “The Bible & Public Schools: A First Amendment Guide” which has been endorsed by 18 different organizations spanning Judaism, Christianity, and Islam and various educational and policy making organizations. 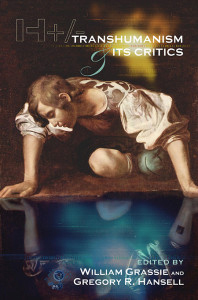 The full text is online at www.teachaboutthebible.org. 4) Religion as a concept that needs to be woven into science education occurs four times in the Project 2061 Benchmarks for Science Literacy (www.project2061.org) of the American Association for the Advancement of Science although there are no specific materials from this science curriculum reform project about how that could be accomplished. The National Science Teachers Association in the USA published a book on Understanding Models in Earth and Space Science, Steven W. Gilbert and Shirley Watt Ireton, NSTA Press, 2003 which provides a classroom activity for science teachers that compares the following different ways of knowing: literary models, social models, religious models, and scientific models. (Note my critical review of what is said about religious models in Science Books & Films, 40(3): 113, May/June 2004.) This is not the first and certainly not the last time that NSTA will address religion within the context of the science classroom. 5) The National Council for the Social Studies in the USA has ten general strands for the social studies curriculum in K-12 schools that includes explicit attention to religion within the following four strands: a) Culture, b) Individual Development and Identity, c) Individuals, Groups and Institutions, and d) Science, Technology and Society (this includes attention to “the implications of science and technology for religious beliefs”). 6) These examples can be repeated many times over in curriculum documents found around the globe. Religion as an academic area for study within school curricula is well established in curriculum guidelines, standards, and even in some countries, assessment systems. What are less evident are good materials that focus on S & R as a specific subset of understandings within this broader framework of religion. 1) Stephen J. Kline (1995). Conceptual Foundations for Multidisciplinary Thinking, Stanford University Press, 1995. 2) Julie Thompson Klein (2001). 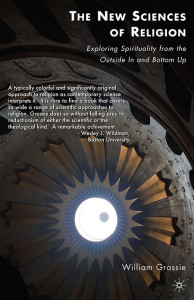 Interdisciplinarity: History, Theory and Practice, Wayne State University Press, Detroit, MI. 3) Margaret A. Somerville, David J. Rappaport, Eds. (2003). Transdisciplinarity: Recreating Integrated Knowledge, McGill-Queens University Press, Toronto. 4) Julie Thompson Klein, J. Thompson Klein, Eds. (2004). Transdisciplinarity: Joint Problem Solving among Science, Technology and Society, Birkhauser Verlag, Berlin. 5) Basarab Nicolescu, Karen-Claire Voss, Manifesto of Transdisciplinarity, State University of New York, Press, 2002. 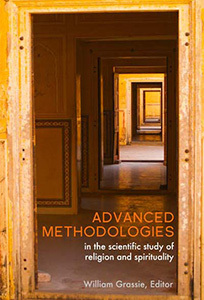 While a large edifice of a general dialogue in science and religion has been built, the next wave of innovation can and must come within five distinct realms: particularity, expansion across the sciences, integration of insights from other disciplines, linking science and technology with religion/theology, and developing a research agenda. Let us briefly explore these five realms. The particularity of distinct religious and theological traditions and connections to and among various sciences needs to be drawn out and explored in order to elevate the entire dialogue to a new and more fine-grained appreciation and to generate further insights into this multifaceted, multidimensional relationship(s). Some clearer self-definition within the S & R movement may also be helpful as: 1) “religion” is often used as a shorthand when people really mean “theology,” 2) “religion” often frequently means a single major world religion, 3) “theology” often means one particular form of “theology,” etc. People within traditions need to find “themselves” in the S & R discussion by noting key religious, theological, personal, and social issues that matter to them being discussed and debated. Much of the current S & R conversation emasculates religion as lived phenomena to the point that no religious practitioner can recognize themselves and their interests in the conversation. The science and religion dialogue and the technology and religion dialogue exist almost completely independent of one another. (“Technology” as used here means the processes, skills, habits of mind, products, and impacts of engineering, allied disciplines, and other means by which human beings shape their environments to serve human needs and desires.) Formal steps need to be taken to begin to bring parts of these communities together to share insights, develop new ideas, generate new research projects, etc. As a formal and maturing area of academic study, the S & R community needs to commence a process that will be repeated many times over in coming years to define major research questions that can guide substantial and potentially fruitful endeavors over the next 1-2 decades. Quality research requires sustained attention on particular and well-formulated questions and the community as a whole has yet to seriously wrestle with this task in a way commensurate with its new academic “muscle” and increasing visibility within the academy. The resourcing of research and activities in the science and religion arena has to expand beyond the very narrow set of current funders. The John Templeton Foundation has been a major funder in this area and is always seeking out new funding partners for new (difficult to achieve) or existing (really difficult to achieve) ventures. One barrier is the sheer size of the foundation’s assets which make others, particularly funders who are substantially smaller in size of assets, reticent to partner. The S & R community must itself, come to grips with this issue and use the power of numbers and thousands of local connections to help funders connect locally to real people with real issues and real projects within their local spheres of influence. 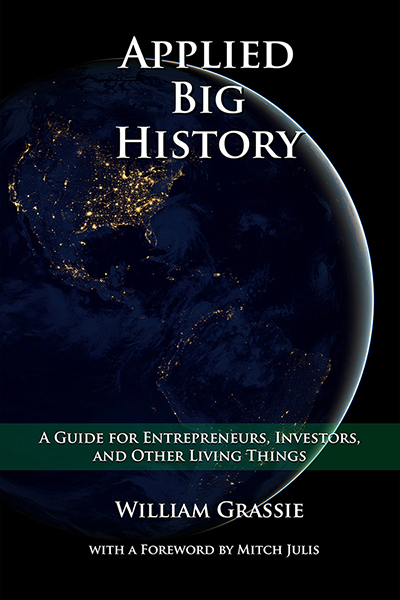 Concentrated efforts in this regard could well double total funding flowing into the S & R arena within a relatively short period of time if people thought “globally” and acted more “locally.” Success at the local level may also hinge on collecting small amounts from many rather than large amounts from a few. Finally, we must do much better at communicating the fruits of the excellent work in S & R that has accumulated over the past decades to various publics. Communication channels are more diverse and consequently more available than ever before. Natural market segmentation, however, demands a response that is specifically targeted to the niche audience one is now trying to reach. General broadcast media such as one specific newspaper or media outlet, no longer guarantees the privileged access to an entire subset of the population that they once did. Online newsletters targeted to special interest groups have proliferated and getting traffic to one’s website has become a tremendously intense competition as the number of websites in the world continues to grow geometrically within ever shorter time spans. (These same observations hold true by the way, for the heavy segmented academic market also where specialization reigns supreme and many researchers read more and more about less and less within their particular field of study.) IMAX theaters now can be found in 400 locations worldwide and this type of experience is a powerful medium that speaks to people emotively as well as cognitively – with the potential of a longer-lasting effect. New digital media and the more recent development of tactile media generation that can be linked to visual media generation pose both enormous ethical dilemmas and monumental opportunities to improve and expand human communication. One should also take special note, however, that even in this pervasively visual culture, radio is still the number one market for reaching people – including executives and other high-level decision makers. Radio spots, interviews, and specialty programming is an underutilized avenue for S & R communication and dialogue. 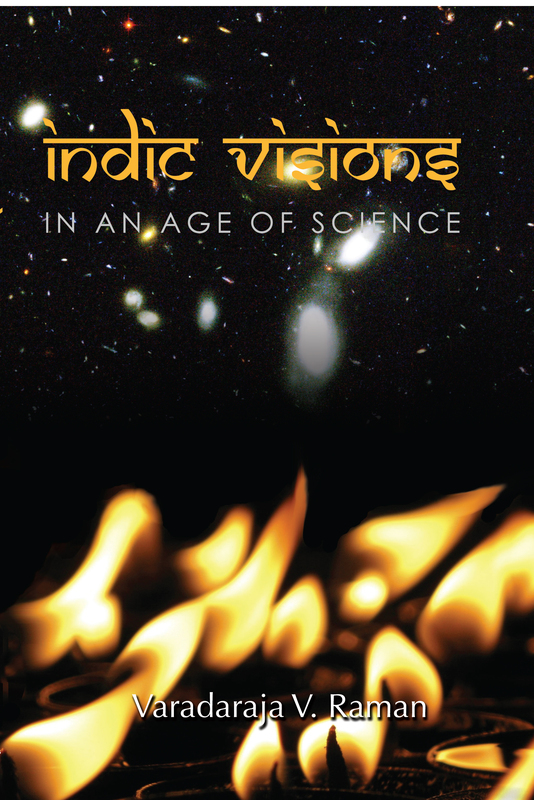 These observations constitute then a brief overview of some of the successes and challenges facing the global Science and Religion community as we look forward within this new century. The challenges are many but progress made over the past several decades augers well for the future of this global movement. May we succeed beyond our wildest dreams! 1 The views in this brief paper are the views of the author and do not represent the official views of the John Templeton Foundation or any of its employees. 2 James Miller, American Association for the Advancement of Science, public presentation, June 2004.